There are numerous alternatives for transporting your kayak. You can either arrange it at the back of your vehicle and hold on to faith that it doesn’t fall or get a kayak saddle installed on the roof of your truck. For sure, kayak roof saddles can be quite expensive that the kayak itself, but ascertains utmost safety when it comes to transporting your kayak. 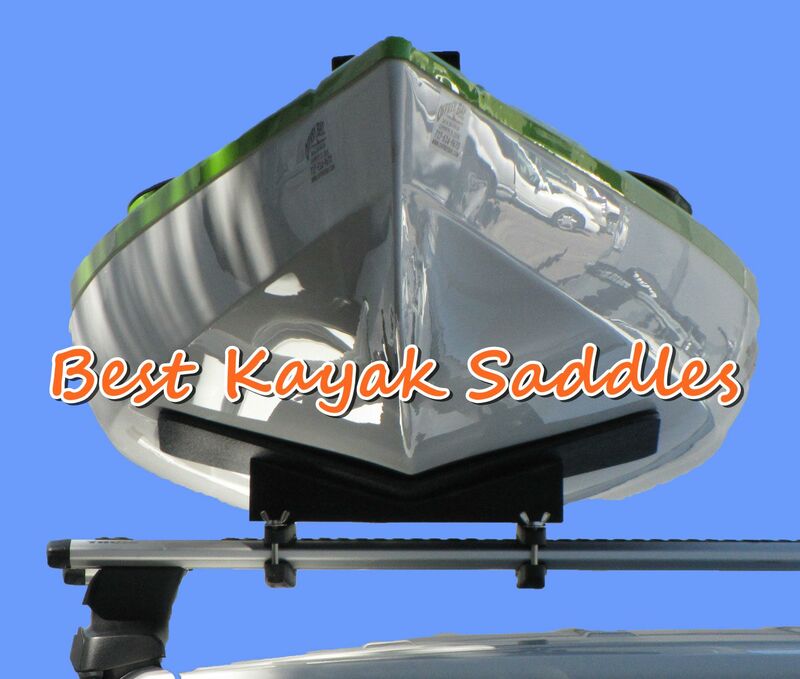 Kayak saddles are horizontal roof racks that let the kayaks rest on its flat surface. The best saddle will provide solid transport through storms and difficult conditions. Always find one that provides plenty of benefits including being easy to load and unload, offers slight resistance to wind and takes advantage of the kayak’s aerodynamics to reduce fuel usage. With the plenty of models available on the market currently, our kayak saddle review below outlines some of the best products as well as a buying guide to help you make the right decision. If you like spending much time in ocean water, you will find the Malone J-Pro Universal Kayak Saddle good for your kayaks and boats. Like other Malone’s line of products, it provides transport solutions for kayaks regardless of the type of boat, how often you travel to the water and much more. Its e-coated and corrosion-resistant build holds it down through extended abuse as the oversized padding helps in protecting the kayak when being transported. The universal JAW mounting hardware is perfect for square, round and oval cross rails. If you have heavy kayaks, weighing more than 100 pounds or wider than 3ft, consider getting the Folding J-Style Kayak Saddle for transport needs. This feature-packed kayak saddle comes with everything required for kayak transport. This is a versatile kayak saddle that suits car roofs of all types, be it flat or round as it comes with two sets of bottom mounting plates. The best feature of this saddle is its ability to fold down to 6.5” high when not in use. It also features memory foam padding on the steel pads that protect the kayaks beside providing a secure grip. 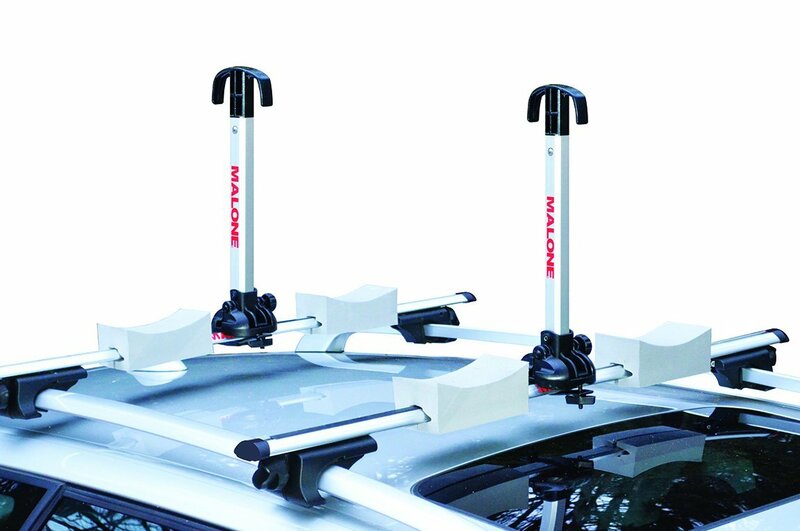 The rack fits square, flat and oval cross bars and extends to the width of the car. This makes it safe and easy to mount. The Malone Stax Pro2 Saddle is among the latest Malone design that combines the convenience of the fold down technology with the value of a stacker. This stabilizes the kayak while in transit. The saddle comes with straps, tie-downs, and blocks that provide secure transport for two kayaks. However, with additional strapping and padding, this carrier can transport up to four boats in any trailer or vehicles’ cross rails system. 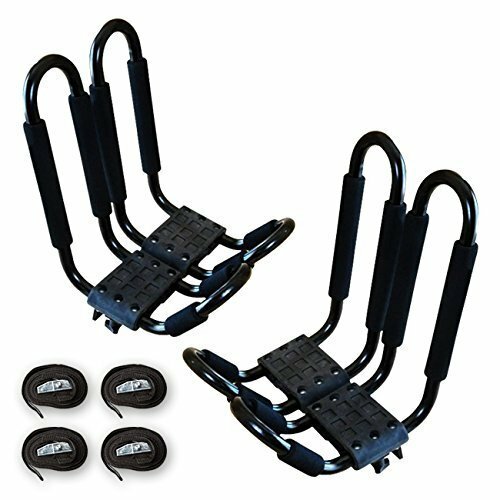 This kayak saddle provides an economical, safe and efficient way to transport two kayaks on square, oval or round load bars. This system features octagonal aluminum posts that are mounted directly to the rooftop bars to support the boats. The stacker blocks cradle and stabilizes the boats on the bars. Besides, it features 12-foot load straps and 12-foot tie-downs that secure the kayak to the posts and their bows and sterns consecutively. Installing the Malone Stax Pro2 Saddle is easy. Thanks to the universal fit JAWS hardware, that enables installation without requiring any tools. 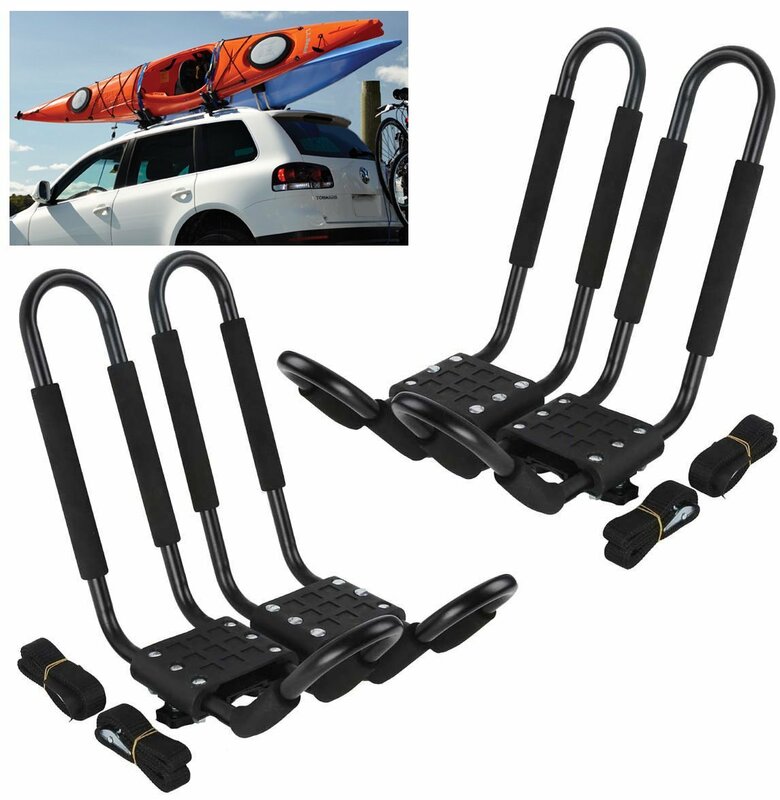 The 2 Pair Universal Top Mount Kayak Saddle is yet another sturdy roof rack built from premium steel. The sturdy feature doesn’t compromise on its weight. It is durable with a rust-resistant coating that ascertains durability. 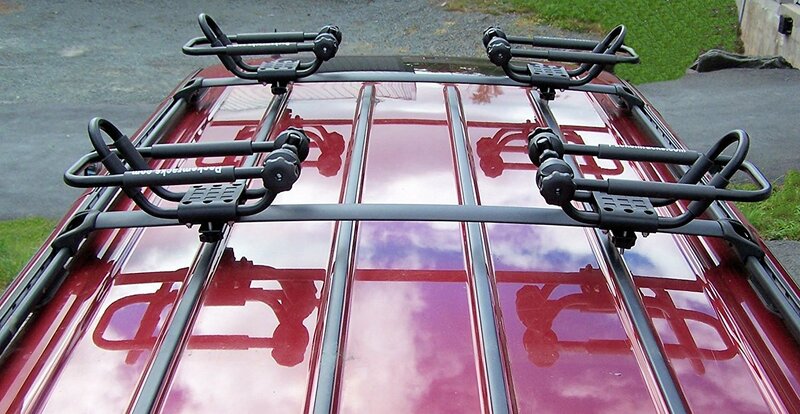 This rack fits all standard crossbars regardless of the design, be it oval, square, flat or round. As the name suggests, it accommodates up to 2 kayaks of 36” width and combined weight of 165lbs. The J-style feature makes it easy to load and unload. Installing it is also pretty easy. Like other best models on the market, it has four straps and rubber padding that adds to the security of the kayak. The Apontus Universal Kayak Saddle is perhaps the most popular J-style kayak saddle that fits 36” wide and 75lbs heavy kayaks. Its wide nature provides an easy loading and unloading time as well as easy installation. Installing the Apontus Universal Kayak Saddle on your roof provides utmost safety assurance, judging from the Apontus’ steel design alongside the adjustable padding. This kayak saddle is versatile, based on the fact that it fits various cars and trucks. It features tie-down straps that add to the security of the kayak. Besides, the straps enable users to load other things to the roof, saving space. You shouldn’t be in a hurry when buying kayak saddles without looking into various considerations. This will help you filter the best products from the wide pool of products available on the market. Below are some of the key factors to consider when searching for kayak saddles. Kayak size – you should always consider the size of kayak you are planning to fit on top of your vehicle before getting a kayak saddle. Kayak saddles come in various sizes, suiting specific kayak size. Safety – ensure that the saddle has advanced security features such as straps. Safety of the kayak includes various protection measures such as foam padding that prevents the kayak from scratches. Ease of installation – the kayak saddle of choice is one that comes with necessary installation hardware and easy to install. Loading and unloading the kayak to the saddle should also be easy. 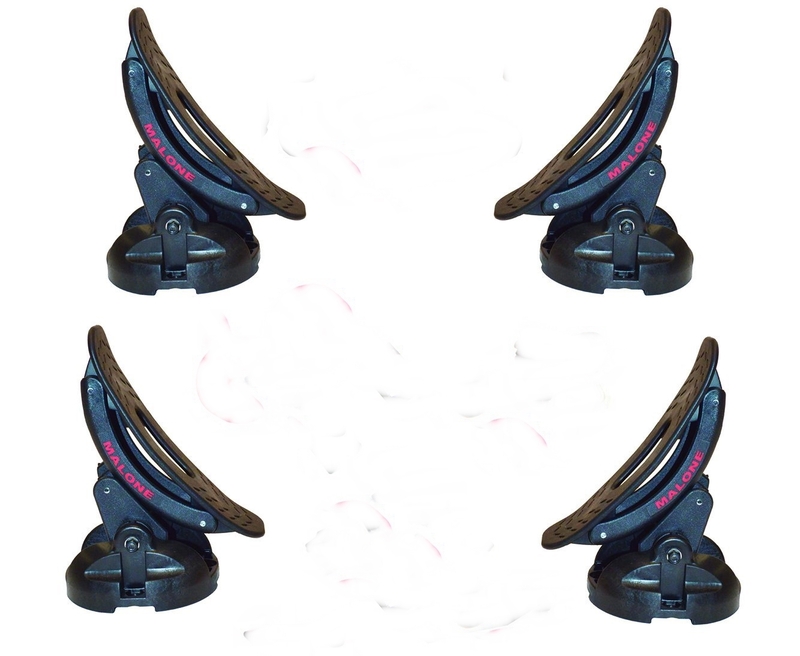 Price – different models of kayak saddles come at varying prices. The features of specific models often dictate this. Consider a budget-friendly kayak saddle. Kayaks are good investments for a wide array of uses. After investing in them, it is of immense importance that you protect it from damage before enjoying its full length. This is why kayak saddles are important. The best saddle should provide utmost safety, easy to install, fits your kayak size, easy to load and unload and affordable. Ensure that your purchase meets the considerations above before checking it out. From our kayak saddle review above, which is your favorite kayak saddle? Share with us in the comments section below!